Ear infections are one of the most common ailment children and adults suffer chronically. This is especially true for people who spend a lot of time in the water. In fact, there’s even a name for ear infections caused by swimming : swimmer’s ear. Although ear infections are so common, the majority of people rely on antibiotics to relieve their symptoms. With antibiotic resistance becoming a larger concern for the World Health Organization and medical professionals worldwide, it’s time to turn towards traditional, but no less effective, healing methods. Although anyone can develop a middle ear infection, 75% of cases occur in children under 10 (1). It’s estimated that that five out of six children will have at least one ear infection by their third birthday (2). In fact, ear infections are the most common reason parents bring their child to a doctor. An ear infection is usually caused by bacteria or fungi and often begins after a child has a sore throat, cold, or other upper respiratory infection. Most complications are the result of the infection spreading to another part of the ear or head, including the bones behind the ear (mastoiditis), the inner ear (labyrinthitis), or the protective membranes surrounding the brain and spinal cord (meningitis). Left untreated, ear infections can cause damage to the eardrum and temporary or permanent hearing loss. Most ear infections clear up within three to five days and don’t need any specific treatment (1). Because ear infections often clear up on their own, treatment may begin with managing pain and monitoring the problem (3). Note: If you feel like your ear is “plugged” do not use any of these internal treatments and go see a doctor. Your eardrum may be damaged or perforated. Garlic is used to fight bacterial and fungal infections as well as viruses. It can also boost your immune system and reduce ear inflammation caused by the cold or flu (4). Crush them and add some salt. Put the mixture in clean cloth and place it onto the infected ear. For best results, eat 2-3 cloves of raw garlic every day while using this treatment. Apple cider vinegar (ACV) works really well in treating ear infection caused by fungus (5). 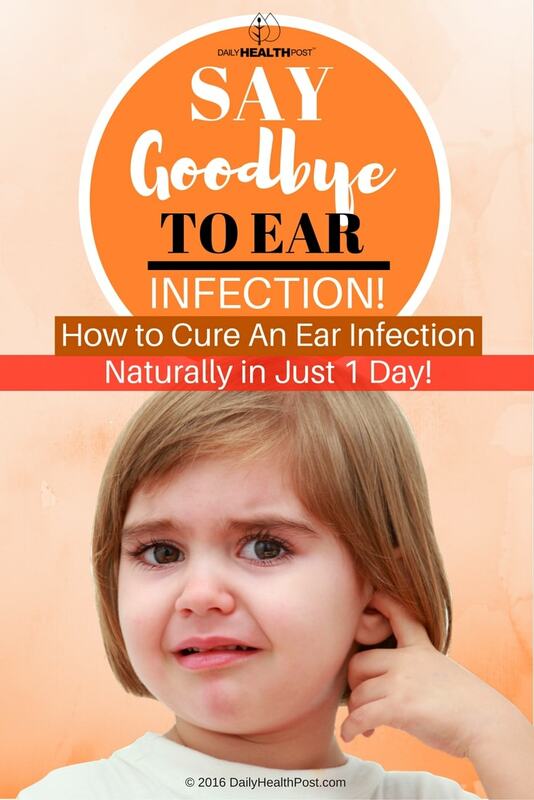 In fact, investigations have demonstrated the effectiveness of diluted vinegar for the treatment of ear infections (otitis externa, otitis media, and granular myringitis). Mix ACV with an equal amount of water. Soak a cotton ball in the solution and place it in the ear for 5 minutes. Lay down with the painful ear against a towel-covered pillow, this should encourage the solution to come out. Gently dry the inside of the ear with a hair dryer since bacteria tends to thrive in moist places. Latest Headlines » Wellness » Say Goodbye To Ear Infection! 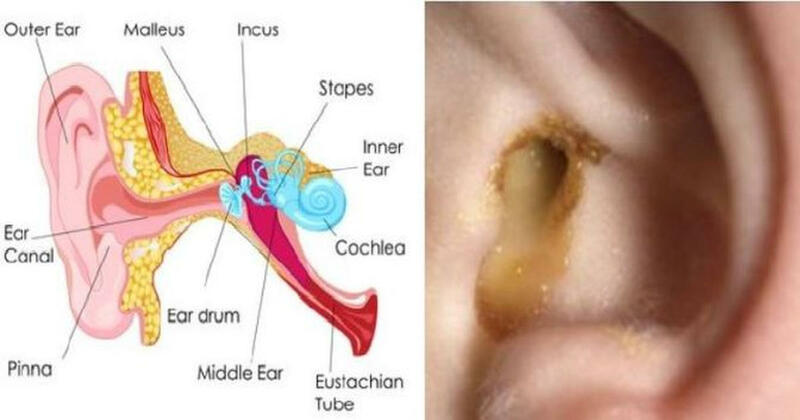 Here’s How to Cure An Ear Infection Naturally in Just 1 Day!